I'm up early in my favorite village on the Italian Riviera, as the morning sun touches the tip of Vernazza's bell tower and greets a peaceful world. The air is damp, cool, and refreshing as I wander downhill, passing underneath the train tracks. I enjoy the fact that the town is traffic-free, and realize that my favorite Italian towns are all this way. Fiat-free Italy…just the way I like it. 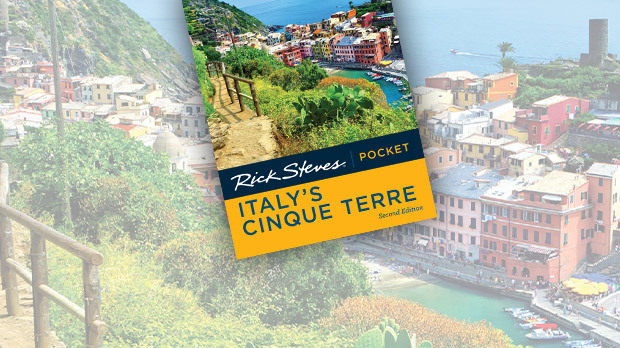 Along a beautifully isolated six-mile stretch of the most seductive corner of the northern Italian coast lies the Cinque Terre (CHINK-weh TAY-reh) — five (cinque) small towns gently and steadily carving a good life out of difficult terrain. Each village fills a ravine with a lazy hive of human activity — calloused locals and sunburned travelers enjoying the area's unique mix of Italian culture and nature. With a traffic-free charm — a happy result of their natural isolation — these towns are the rugged alternative to the glitzy Riviera resorts nearby. There's not a Fiat or museum in sight — just sun, sea, sand (well, pebbles), wine, and pure, unadulterated Italy. Enjoy the villages, swimming, hiking, and evening romance of one of God's great gifts to tourism. While the Cinque Terre is now discovered (and can be unpleasantly crowded midday, when tourist boats and cruise-ship excursions drop by), I've never seen happier, more relaxed tourists. Given that the vast majority of the crowds are day-trippers, make a point to get the most out of those cool, relaxed, and quiet hours early in the day and in the evening. Until the advent of tourism in this generation, the towns were poor and remote. 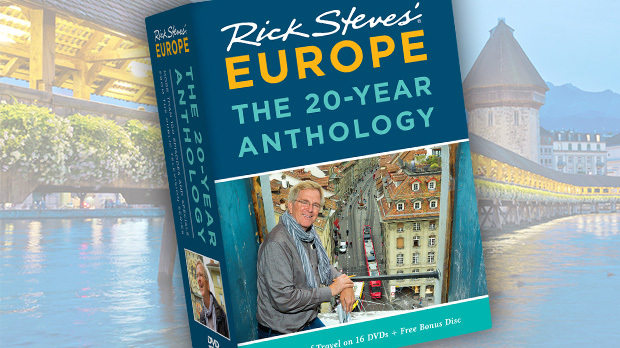 Today, tourism stokes their economies and each is well connected by hourly trains. But traditions are resilient, there's not a chain store anywhere, and each of the five villages comes with a distinct dialect and its own proud heritage. 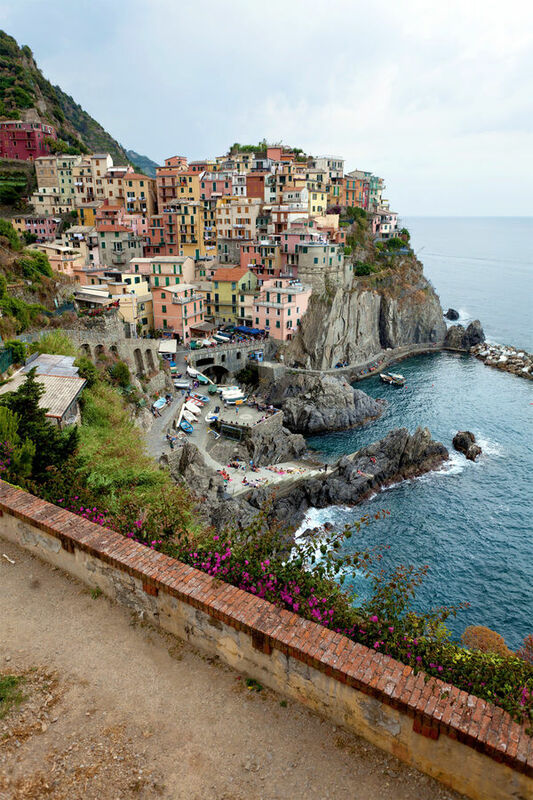 To preserve the Cinque Terre's natural and cultural wonders, Italy has declared the region a park — towns and all. Visitors buy an inexpensive day pass to hike the scenic trail that laces together the unique communities. Corniglia, with its mellow main square, is the quiet town — the only one of the five not on the water. From the train station, a footpath zigzags up nearly 400 stairs to the hilltop town. 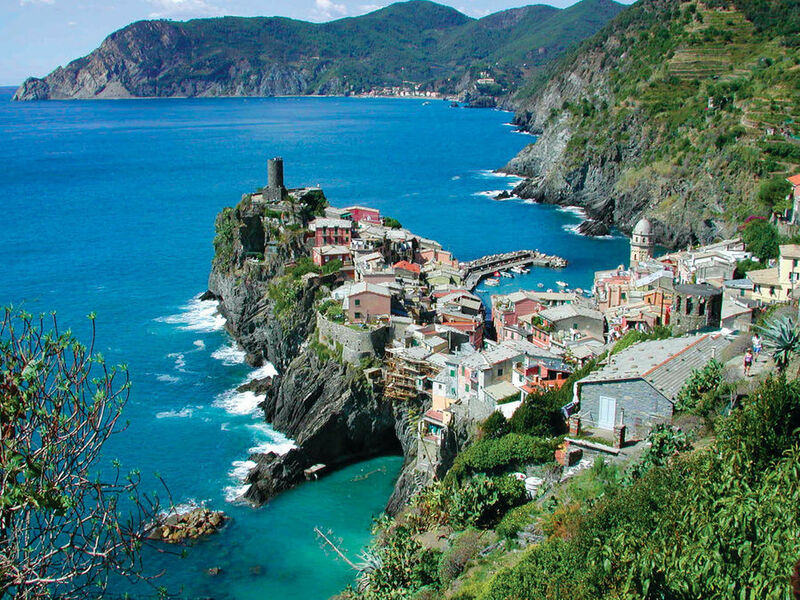 According to legend, a Roman farmer originally settled Corniglia, naming it for his mother, Cornelia (which is how Corniglia is pronounced in Italian). Residents claim Cornelia's son produced a wine so famous that vases found at Pompeii touted its virtues. Still, today, wine remains the town's lifeblood. Following the pungent smell of ripe grapes into an alley cellar, I find a local who lets me dip a straw into her keg. Monterosso, the Cinque Terre's only resort town, comes with cars, hotels, rentable beach umbrellas, crowds, and a thriving late-night scene. Its historic center cradles Old World charm within crooked lanes and hole-in-the-wall shops. With the closest thing to a natural harbor — overseen by a ruined castle and an old church — Vernazza is the jewel of the Cinque Terre. Its action is at the harbor, where you'll find restaurants, a bar hanging off the edge of the castle, a breakwater with a promenade, and a tailgate-party street market every Tuesday morning. While the old men putter with their tough little boats, the day's last bit of sunshine seems to sweep the old women and children into a warm corner in front of the church. Leisure time is devoted to the passeggiata (evening stroll), as locals do their vasche (laps), wandering lazily together up and down the main street. After three days in town — sitting on a bench, gelato in hand, enjoying the endless "ciaos" and parade of neighbors — I feel a part of the scene. I cap my Cinque Terre days on the breakwater with a glass of Sciacchetrà dessert wine. At midnight, the Mediterranean is darker than the sky — except for bobbing lanterns on the horizon. By night, old-school fishermen are seducing anchovies into their nets. By day, the same guys are seducing me with a way of life that refuses to give in to the modern world.